According to the 2017 Global Trends in Giving report, 61% of donors prefer giving online. While this does mean it’s essential to have a website that is easy to navigate, it doesn’t mean placing all your eggs in the online basket. In fact, when direct mail and web are combined, nonprofits see an average 27% response rate. When you add email to the mix, that figure jumps to 37%. So, donors favor online giving. But their decision to give is bolstered by communications across multiple channels, including direct mail, social media, and face-to-face conversations. Other notable statistics—half of donors are inspired to give from social media and fundraising events. In the past year, two-thirds of donors volunteered with a nonprofit, and 60% of donors attended a fundraising event. Creating an opportunity for current and potential donors to physically go to your event and interact in person with your employees and beneficiaries is hugely helpful to the giving process. What does a Modern Donor look like? Silent Generation donors tend to be passive. They wait for the organization to reach out to them, and they’ll respond with a gift. Not so with Modern Donors. This group is more active, interacting with organizations across multiple channels. They operate on their own timeline, whether or not that coincides with your organization’s timeline. It’s important to listen closely to donors, examine feedback, and work to engage your donors the ways they want to engage, even if it’s not the way your organization has preferred to engage in the past. Is Word of Mouth still what it used to be? It’s a trend across fundraising and marketing—word of mouth consistently rates as a top way individuals make giving and purchasing decisions. Modern Donors rely heavily on the opinions and experiences of other individuals in their network. 91% of those surveyed for the Contours Report cited networks and self-discovery as the main ways they learned about nonprofits and chose to give. In contrast, only 9% of first-time donors chose to give due to receiving materials from the charity or organization itself. A person’s “network” can consist of conversations with friends and family, or of celebrity influencers they follow on social media. Place your efforts in creating positive, personal experiences for each of your donors. They’ll have good things to say about your organization and its efforts, helping to create a favorable impression of you among potential donors. Will potential donors research your organization? Millennials are nearly twice as likely to do research about an organization than their Silent Generation counterparts. More tech savvy and more influenced by word of mouth, Modern Donors seek to get to the truth of what an organization has done and how it has helped others. Make any studies, reports, stories, and statistics regarding your organization readily available on your website. Ensure you’re gathering data you can report on. Make it easy for researching donors to find this information, as it can heavily influence their decision to give. What’s the impact of a social media presence? As stated above, half of donors are inspired to give from social media content. Social media also creates a place for discussion and for people to share their personal experiences with your organization. Modern Donors are big on sharing that they made a gift as soon as possible. 54% of those surveyed said they share charitable giving with their network, with nearly 60% of Millennials doing so. What channels do donors engage with? 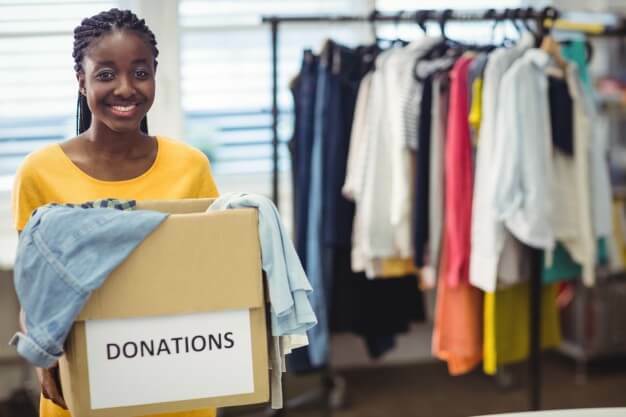 The Modern Donor is connected across multiple channels and is not influenced as significantly by outbound fundraising strategies like direct mail. While direct mail is an essential part of fundraising, the Contours report indicates that direct mail may be better suited for communications with repeat donors, who are looking for regular, personal updates about your nonprofit. Instead, the website was cited as the main point of conversion for Modern Donors. However, because they are engaged across several channels, it’s important both that you have a multi-channel engagement strategy and that the strategy is consistent in theme, message, and appearance across channels. Modern Donors want a seamless experience. An important fact to remember regarding Modern Donors is that they are “nearly loyal.” As a nonprofit, your goal is to build a donor base that consistently gives to your organization from year to year. These “truly loyal” donors are essential. But you should note that 50% of Modern Donors will regularly give to 2 or more organizations in addition to yours. And, they’ll frequently give to a different nonprofit from year to year rather than consistently giving to the same one. To improve donor retention, word of mouth can be helpful. Focus on turning your truly loyal donors into brand ambassadors, working to educate their networks about your organization and converting one-time donors into regular contributors. What donor and giving trends are your nonprofit seeing? Let us know!